One of the warmest products in the market, manufactured with the biggest heat recovery in mind. An environmentally friendly product. Triple-glazed windows consist of three panes separated by two hermetically-sealed spaces. 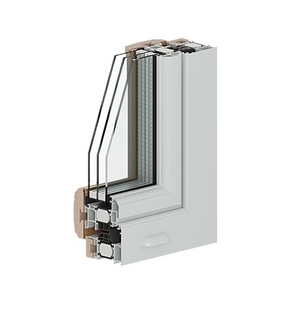 They offer the best thermal insulating properties of any window type. These windows are quite common in very cold climates. Triple-glazed windows are frequently used in energy-saving, "passive homes," such as those built to Germany's Passivhaus standards. Triple-glazed windows are often smaller than others to compensate for the added weight of the third pane. This reduces the amount of light they provide.